*Each of the above monthly wireless plans are intended for use for typical ATM Transactions. CORD reserves the right to cancel this agreement if wireless use is determined to be excessive. Equipment: CORD may fill CustomerÃ­s order with new or refurbished equipment as described above. Subscription: In addition to agreeing to pay any monthly Equipment rental fees, if Services described above include a Wireless Plan, Customer agrees to subscribe to the Wireless Plan specified above and to pay CORD the monthly Wireless Service Charge also specified above. CORD Reserves the right to cancel the above Wireless Plan or switch to the next higher plan if data volume exceed those of the above stated Wireless Plan. Customer agrees to pay any charges incurred for the new plan. One Time Charges: The first monthÃ­s equipment rental is due prior to shipping equipment to customer. All equipment will be shipped via ground shipping unless customer requests otherwise. Customer will be charged along with the first month service for any shipping method other than ground. The first month is billed at the full monthly rate regardless of order date. 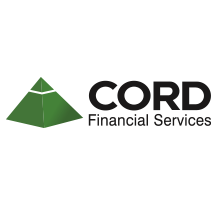 Changes to Services: CORD reserves the right to modify the Services provided during the term of this Agreement. Term: The initial term of this Agreement shall be twenty-four (24) months and shall commence upon the date hereof and shall be automatically renewed after the initial term for successive one (1) month terms; provided, however, that either party may, by giving the other party thirty (30) days prior written notice, cancel this agreement after the initial term with no penalty. Payment of Charges: Monthly amounts due for Equipment rental or Services will be consolidated, billed, and payment processed via ACH to CustomerÃ­s bank account or credit card on or near the same day of each month as chosen by CORD. In the event that ACH payment is returned unpaid to CORD, Customer agrees to immediately pay CORD a returned ACH fee of $35.00 per returned item. Customer shall provide CORD written notice of any changes to banking account for ACH purposes. Maintenance: CORD will replace Equipment in the event equipment needs repair. Upon notification and diagnostics of problem, CORD will ship out a new or refurbished replacement unit to Customer via ground shipping method at CORDÃ­s discretion at no cost to Customer. Customer shall be responsible for cost of shipping and handling for any other method selected by Customer. Customer shall be responsible for shipping faulty equipment back to CORD using a prepaid shipping label within 15 days to avoid having to purchase the replacement unit. Termination: Upon termination of this Agreement, Customer agrees to return the equipment described above in good working order at Customers expense. In the event that this Agreement is terminated prior to the end of the initial term, Customer agrees to immediately pay CORD an Ã¬early termination feeÃ® equal to the lesser of (a) $300.00 or (b) the amount that is equal to the number of months remaining in the initial term multiplied by Total Monthly Charges from the first page of this Agreement. If equipment is not returned, or returned in an inoperable state, Customer will be also be charged a one-time, $300.00 equipment replacement fee. Liability: CORDÃ­s sole liability to Customer shall be to remedy any breach of this Agreement in a timely manner. CORD shall not be liable to Customer or others for any losses, expenses or costs (including but not limited to any consequential or special damages) incurred by Customer or others due to breakdown, malfunction, interruption, or any other result from using the Equipment or Services included in this contract. In any dispute between the parties, whether or not resulting in litigation, the prevailing party shall be entitled to recover from the other party all reasonable costs including, without limitation, reasonable attorneyÃ­s fees. The prevailing party shall include, without limitation, a party who dismisses an action for recovery in exchange for sums allegedly due, performance for covenants allegedly breached, or consideration substantially equal to the relief sought in the action. This Agreement shall be construed, interpreted and enforced in accordance with the laws of the State of Texas. The jurisdiction and venue for any legal proceeding to interpret or enforce this Agreement shall be in Bell County, Texas. Notice: Any notice required by the terms of this Agreement shall be given in writing and shall be deemed effective upon personal delivery or upon deposit with the appropriate postal service, by registered or certified mail with postage and fees prepaid and addressed to the party entitled to such notice at the address set forth above, or at such other address as such party may designate by 10 daysÃ­ advance written notice to the other party to this Agreement. Assignment of Rights: Customer grants CORD the right to assign all or any part of its rights or obligations under this Agreement at any time to anyone that it chooses. Customer shall not assign or in any way dispose of all or any part of its rights or obligations under this Agreement without the prior written consent of CORD or its successors or assigns. Entire Agreement: The parties understand and expressly agree that (a)this Agreement contains a complete statement of all understandings, arrangements, and agreements between the parties and constitutes the entire agreement between the parties as to the subject matter hereof, and completely supersedes all negotiations and all prior arrangements, understandings, courses of dealing, and agreements related to the subject matter hereof; and (b)there are no representations, warranties, understandings, arrangements, agreements, conditions, or contingencies, whether express or implied, or oral or written, except as expressly set forth in this Agreement. Authority: I represent and warrant to CORD that I have the right and power to enter into this Agreement and that any and all action necessary to approve my entering into this Agreement has been taken. For valuable consideration, the receipt of which is acknowledged, the undersigned (Ã¬GuarantorÃ®) irrevocably, absolutely and unconditionally guarantees to CORD the full and prompt payment by Customer of all of CustomerÃ­s obligations under this Agreement. In the event Customer fails to pay all or part of its obligations when due under this Agreement, Guarantor agrees to pay CORD in a timely manner all amounts not paid by Customer. In addition, Guarantor agrees to pay all reasonable attorneysÃ­ fees and all costs and expenses incurred in collecting or compromising any indebtedness of Customer guaranteed hereunder or in enforcing this Personal Guarantee against Guarantor. This Personal Guarantee is in no way conditioned or contingent on any attempt to collect CustomerÃ­s payment obligations from any other person obligated with respect to CustomerÃ­s obligations or any other guarantor of CustomerÃ­s obligations. This Personal Guarantee shall be binding on Guarantor and shall inure to the benefit of CORD and its successors and assigns. The obligations of Guarantor under this Personal Guarantee shall remain in full force and effect notwithstanding the death or disability of Guarantor. Guarantor, recognizing that his or her individual credit history may be necessary in the evaluation of this Personal Guarantee, hereby consents to and authorizes the use of a consumer credit report on Guarantor by CORD, from time to time as may be needed for credit evaluation purposes. ACH Authorization: The method of payment for the Equipment rental and monthly Services Charges, and all other amounts or fees that become due and owing by Customer under this Agreement, is ACH. Customer authorizes CORD to initiate ACH transfer entries and to debit and/or credit the account identified below (the Ã¬AccountÃ®) for the equipment rental and monthly Wireless Service Charges, and all other amounts or fees that become due and owing by Customer under this Agreement. Customer agrees to keep the Account funded to the extent needed to reasonably support transaction amounts posted by CORD under this Agreement. In the event an ACH payment is returned unpaid to CORD, Customer agrees to immediately pay CORD a returned ACH fee of $35.00 per returned item. All shortages and adjustments are the full responsibility of Customer. The undersigned represents and warrants to CORD that the person executing this ACH Authorization is an authorized signatory on the Account and that all information regarding the Account and Customer istrue and correct. This form must be accompanied by a preprinted VOIDed check. Starter checks are not acceptable. In lieu of a pre-printed check, a letter from a bank officer stating that this account can accept ACH transactions, giving Bank Routing Number and Account Number.